What is it? Iello Games brings us an exercise in dexterity, wrapped in a charming package and dotted with the kind of silliness best enjoyed with your kids. Is a chicken like a pig like a horse like a cow? You wouldn't think so, but you'd be wrong. Family gaming can be a tricky proposition, even more so when you’re dealing with multiple kids and varying age gaps. And whilst certain households are lucky enough to contain kids who have grown up around the hobby and are playing ‘adult’ games at the age of 7, for the rest of us it isn’t easy to find a game that will keep a 5 year old as invested as a 12 year old. And that’s just the kids! That’s not even taking into consideration the potential agony waiting for those parents whose children expect three games of Ludo in a row. How do we expect our kids to develop a love for the hobby when they catch us nodding off in the middle of a game of Snakes & Ladders? It’s not like great family games haven’t always been around either, but with the advent of the Golden Age of boardgaming it’s just that there are so much more of them. And it’s easier than ever to tell quality from the mundane. 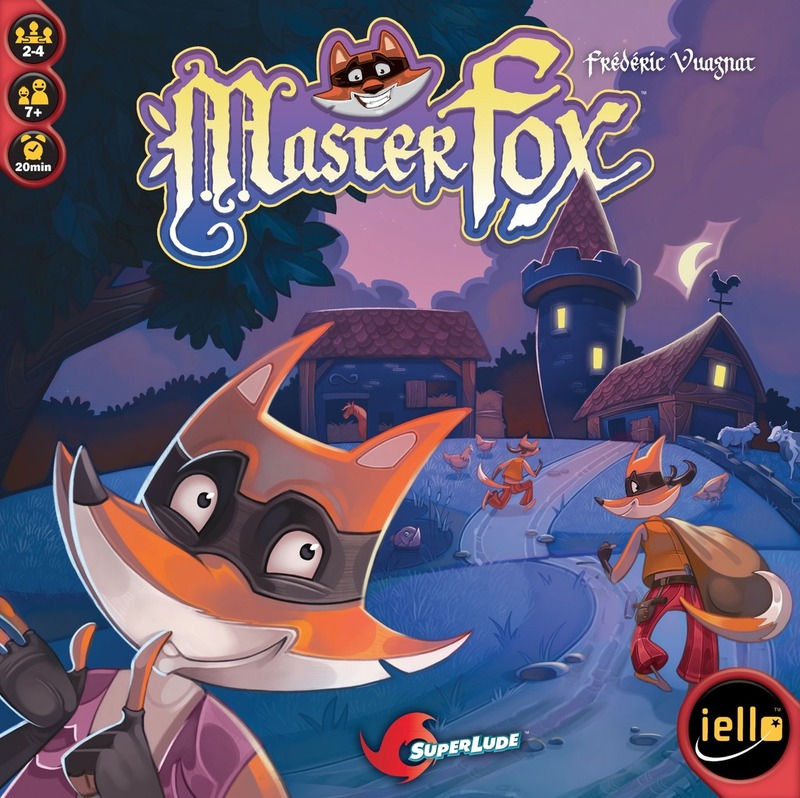 Last year, Iello released Master Fox and – spoilers – it made a few ‘Best of 2015’ lists. I recently broke it out with my 9 year old to see whether it deserved such accolades, and I’m guessing by the number of times we played it, she’s inclined to believe that it is. The aim of Master Fox is simple – the titular Master Fox has enjoyed a rather rewarding career, but as any thief worth their mettle will tell you, what’s the point of this admittedly dangerous profession if one can’t find time to enjoy the spoils? And so vacation bound, Master Fox seeks to appoint an apprentice to ensure pockets remain pilfered while he’s gone. It certainly helps that the components are excellent – Catell Ruz’s artwork is bound to bring a smile to your face and the wooden components are solid and chunky. Incorporating the box as an additional component is also a smart design choice and unless you leave it lying around for a 2 year old to snag, I don’t see frequent plays impacting the durability. Oh yes, and the masks. The masks are awesome and really help in setting the right mood before the game has even started. So what passes for valuable loot in the world of Maupertuis? Diamonds? Rubies? Sapphires? Nope. Every fox worth his or her salt knows that horses, chickens, pigs…that’s where it’s at! Each round, 3 of the 8 Mission cards are revealed face-up, indicating which livestock are worth points for that round. Give the box a good shake, masks down, lid off…3,2,1 and chaos ensues. Grab for loot with one hand, stash that loot in the other. 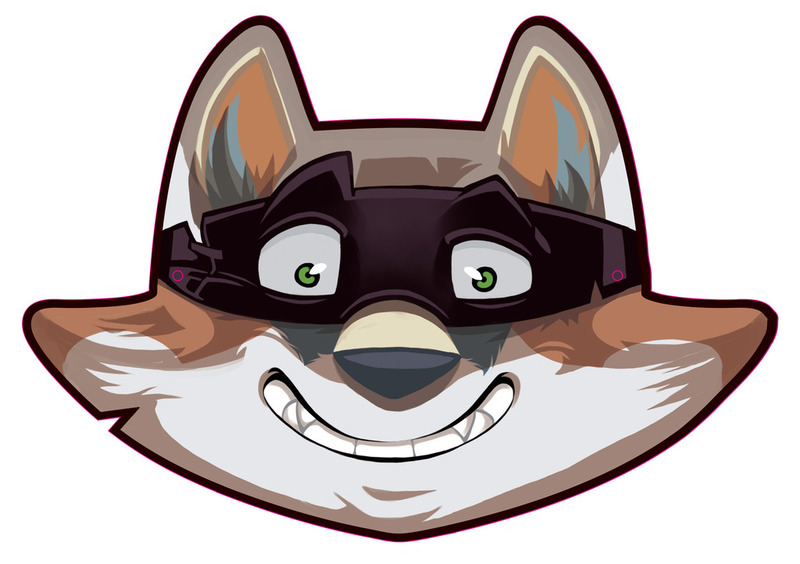 It’s not complete pandemonium though, there are certain rules that are considered good form amongst foxes – you can only grab one Loot pawn at a time, and no more than 4 pawns can be stashed. As soon as you have at least 3 pawns stashed, you can say “Stop!”, at which time looting is instantly over and masks are removed. Manage to stash a pawn matching one of the three Mission cards? Score 1 point for each! But you’ll also lose a point for each pawn that doesn’t match a mission as well as for each pawn in excess of 4. Points are tracked using Egg tokens, though negative points simply mean you receive no tokens and not that you’ll lose any previously acquired. Round 2 sees the introduction of Ruse pawns, which add just a touch of complexity. The Fox pawn scores you a point regardless of which missions are active, but if you have both Fox pawns you’ll lose a point. Snakes allow you to steal Loot from another player before points are scored and the Hammer protects you from the Snake ability. First player to 10 eggs (or 15 if you want a slightly longer game) wins! 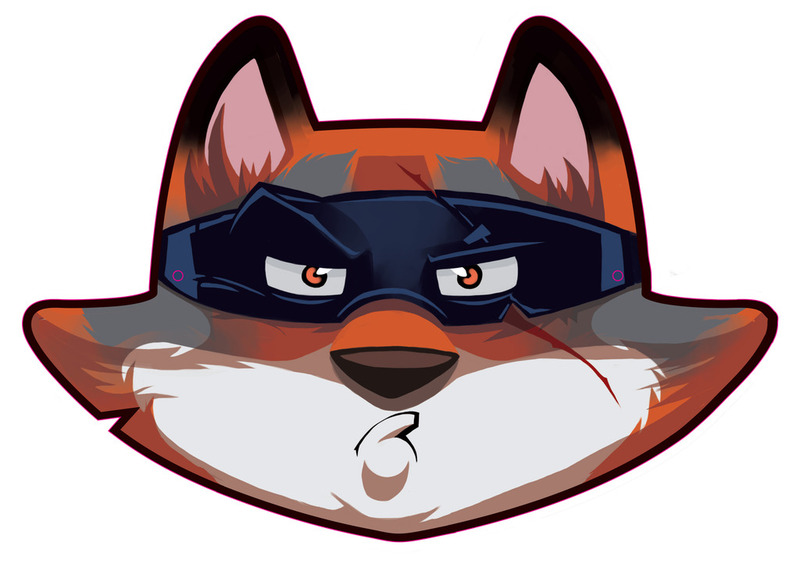 As you’ve no doubt surmised, Master Fox is all about that moment when the blindfolds are down. Those frantic seconds as you attempt to find the balance between identifying the right pawn but not taking so long that an opponent shouting “Stop!” will find you with one pawn in your stash. But how difficult can it really be to identify by touch? I mean, this is a kids game and that cheese pawn and fish pawn are clearly different. And then your daughter scores 3 points at the end of the first round and you score none. Eh, you say, maybe I’ll take the next round a tad more seriously. And you lose again. How is this possible? You’re convinced you’d looted a chicken, a pig and a horse and yet when you opened your stash – cow, cow, sheep. And the look on your face, equal parts confusion and exasperation is of course magnified tenfold by the Fox mask fitted snugly against your forehead. Master Fox was a blast to play with my family. Its quick play time make it perfect for either multiple plays, or as something that gets everyone in the mood for slightly longer more involved games. I’ve found that suggesting something like Forbidden Island isn’t always greeted with shouts of acclaim, but playing a game as silly as Master Fox often leaves the kids wanting more. But then again, I’ve also found that kids will play pretty much anything if it means spending time together. Sometimes the value isn’t just to ensure the kids have a good time, but that you do too. You’ll notice there’s no official CBQ rating for Master Fox at the bottom of the page. Firstly we’re not nearly as opinionated about family games as we are the more serious stuff, and secondly we don’t presume to know what kids genuinely like. In the end, the only rating that counts is the breadth of the smile on my daughter’s face. And her’s was a fox-like grin indeed. Lastly, just a note on pricing. For most of 2015 the game retailed at a price of R650 which may well have factored into our recommendation. It’s a good game, but at that price there are other titles that offer greater depth. However, 2016 has brought a significant price drop and Master Fox is currently retailing at R425. Review Copy of Master Fox was kindly provided by Boardgames.co.za for this article. I'm not sure if I'd place Master Fox as the best kids game of 2015, but I can promise that tremendous fun was had. Pride was bruised, bragging rights were held against me for weeks to come and I've learned that I look ridiculous in a mask. Thanks Iello. Paul thinks about board games a lot. Mostly when he should be thinking about school fees and Eskom and staff meetings. In other words, Paul's clearly got his priorities in order. Constantly lamenting the lack of Mage Wars opponents.